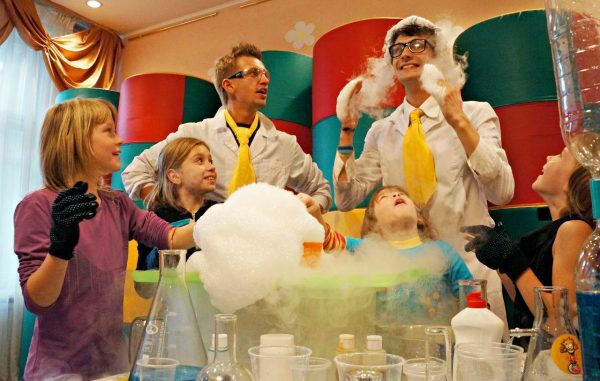 “Science show Atradėjas” is kids parties in a modern and unconventional format. It is an extraordinary science laboratory, where dreams come true. 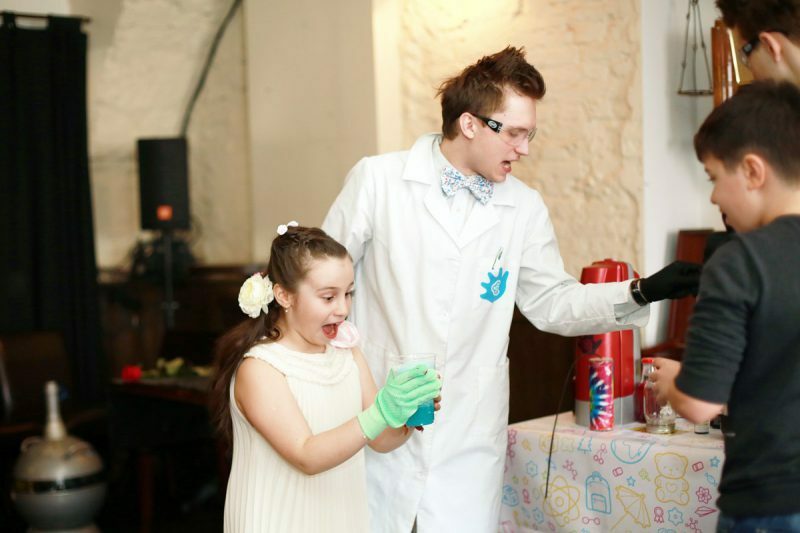 Interactive science show Atradéjas is perfect for your Birthday party, corporate event and Graduation party! Also is ideal for schools, nursery schools and public events! Doctor of Technical Sciences supervises the know-hows and experiments. His positive feedback serves as a signal for us to introduce experiments in the program. Materials with safety certificates are delivered to us by partners from Canada and the USA. After the experiments perfect order is maintained on the site. For children, the possibility of slipping on the floor is excluded, and their clothing remains clean. SCIENCE SHOW. ORGANIZATION OF KIDS PARTY. 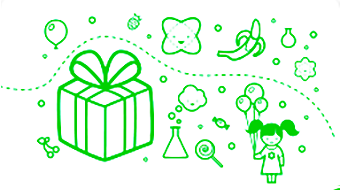 Are you wondering about a way of holding a kids birthday party? 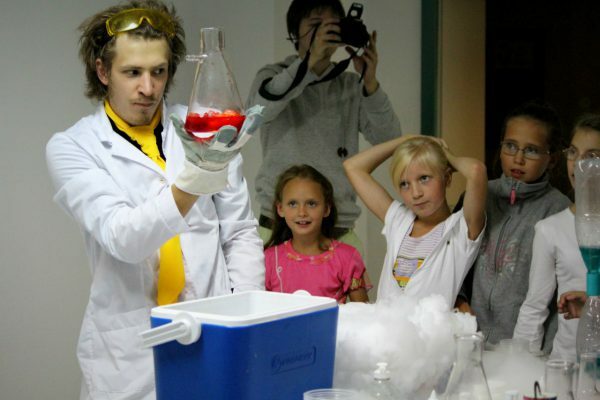 The science show “Atradėjas” always has an original project to offer you. 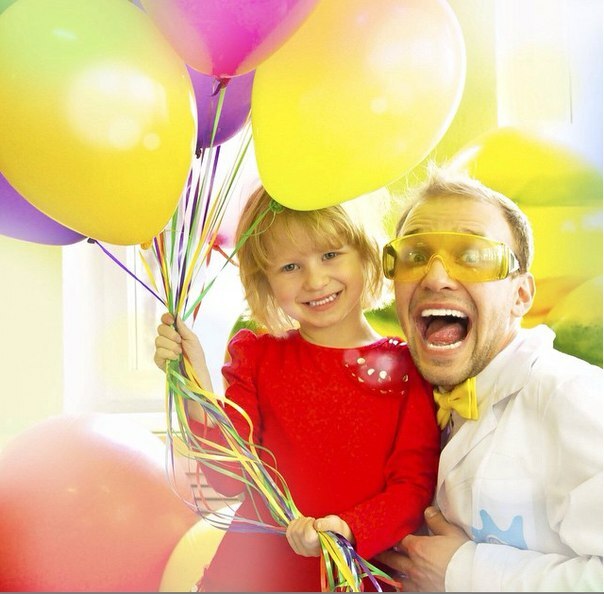 What we’re talking about is the new format of kids parties – a science show. It is worth noting that it is not entirely correct to refer to this format as ‘new’. 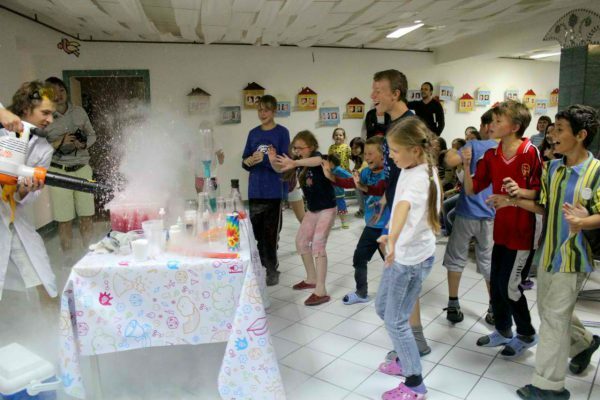 In fact, in Canada and the United States, science show themed kids parties have been developed for quite a long time, and the interest in them is not waning. For such events, even a special term has been created – Edutainment (a combination of “education” and “entertainment”). 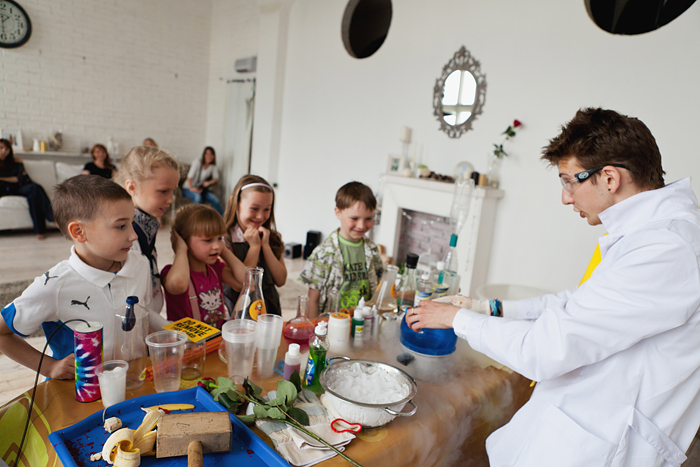 At kids parties animators enact something like a stage play with real physical and chemical experiments. At the same time, the audience is actively involved in the process, as all contests for the kids party are designed for interactivity. Having felt like experimentalist scientists, children continue to show interest in science, numbers and formulas. Adults enjoy the “Atradėjas” science show as well. This is due to the top level of organization of kids party. We purchase quality chemical props in the USA from reliable partners. The hosts’ acting skills are pretty impressive too. 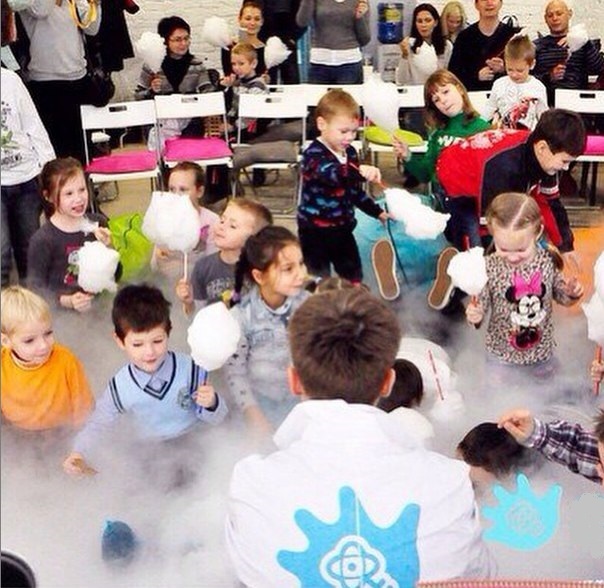 In other words, “Atradėjas” kids parties cause a keen interest of the audience of any age category. And if you’re looking for kids birthday party ideas, then look no further – our show is just what you need. 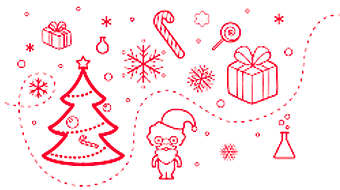 In addition to that, we’ve developed a package of unique programs, each of which being most suitable for a specific audience. 3 to 6 yos – a program for preschoolers, is perfect if you plan on holding a party in kindergarten. It contains simple experiments, the purpose of which is to slightly open the curtain of the world of science before the child. 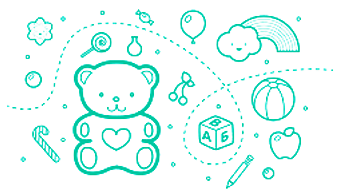 7 to 9 yos – a program for elementary schoolers. Children of this age are often referred to as ‘whyers’ due to the constant questions. 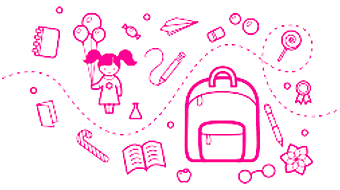 The party for schoolchildren is arranged in such an order that children get answers to many questions and their interest is further heightened. 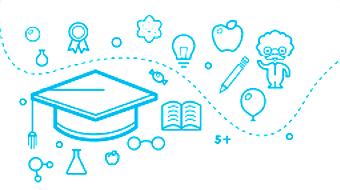 10 to 13 yos – the program is designed for schoolchildren, who’ve experienced the fundamentals of the educational process. 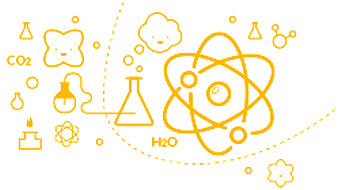 This age can become a period of growing disinterested in science, if studying physics and chemistry is just a tedious memorizing of textbook sections. 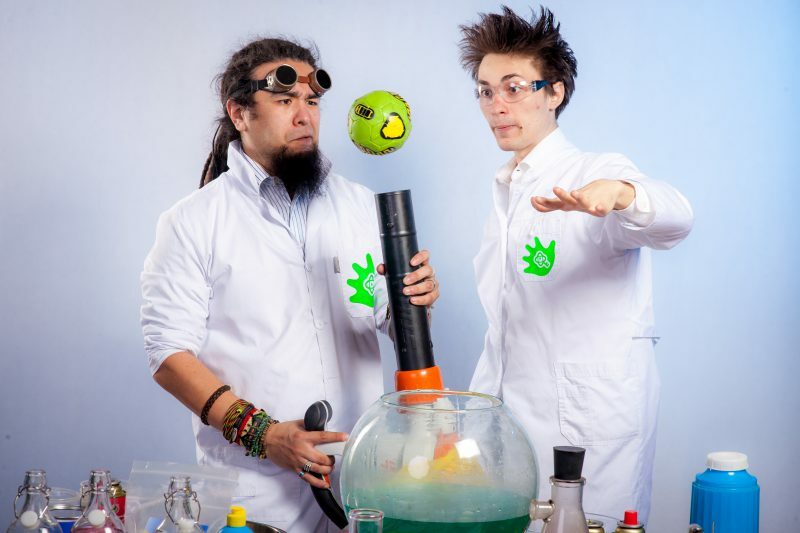 Our science show will revive schoolchildren’s interest in science. 14 and older – this program combines the most spectacular experiments, which will surprise even an especially picky audience. 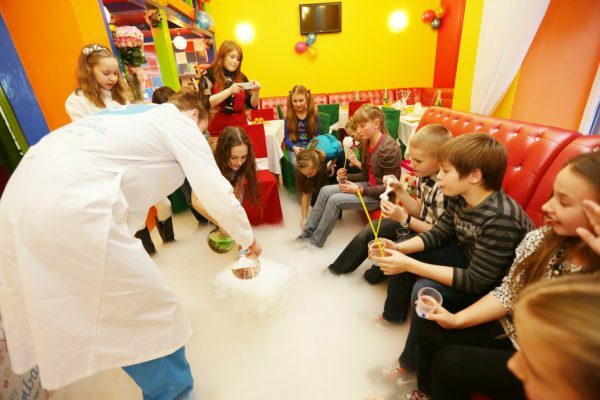 Kids parties agency “Atradėjas” will give you a wonderful useful way of spending your leisure time and will exceed your expectations. For good measure, watch videos from kids birthday parties. 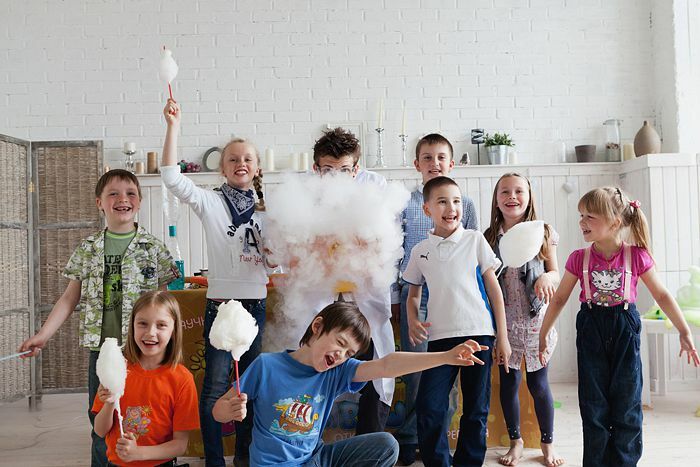 We hold kids science shows anywhere in the territory of the Republic of Lithuania.